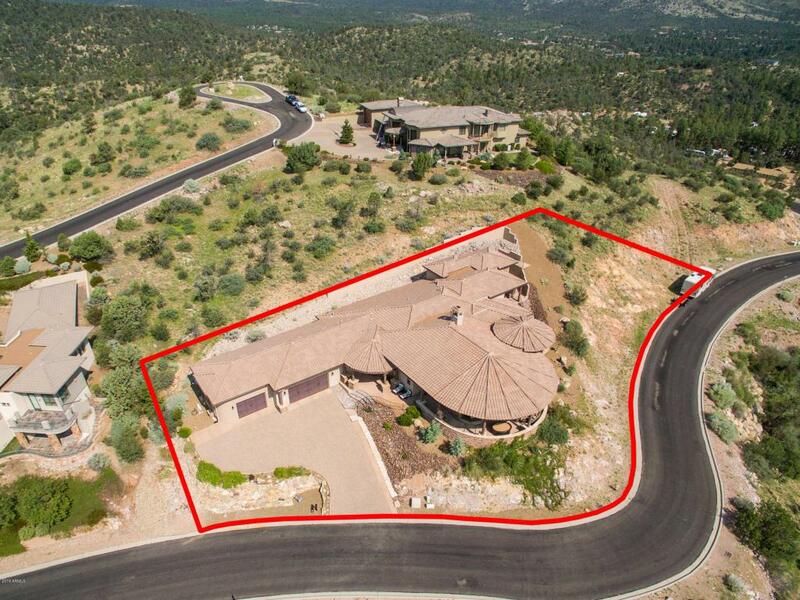 Dramatic custom home in Forest Trails located just a short drive to downtown Prescott with views of National Forest and beyond. Many upgrades in this contemporary elegant home. 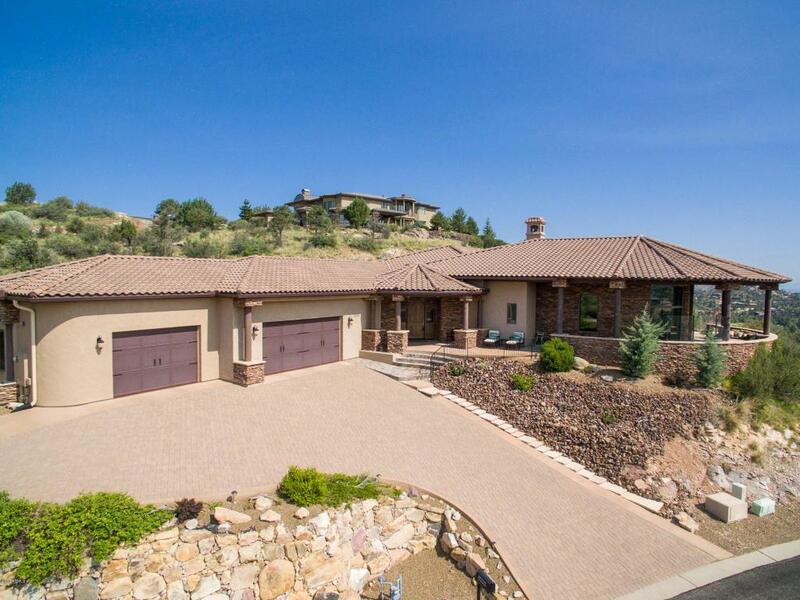 Primarily single level home except for 8 stairs to the Master Suite. 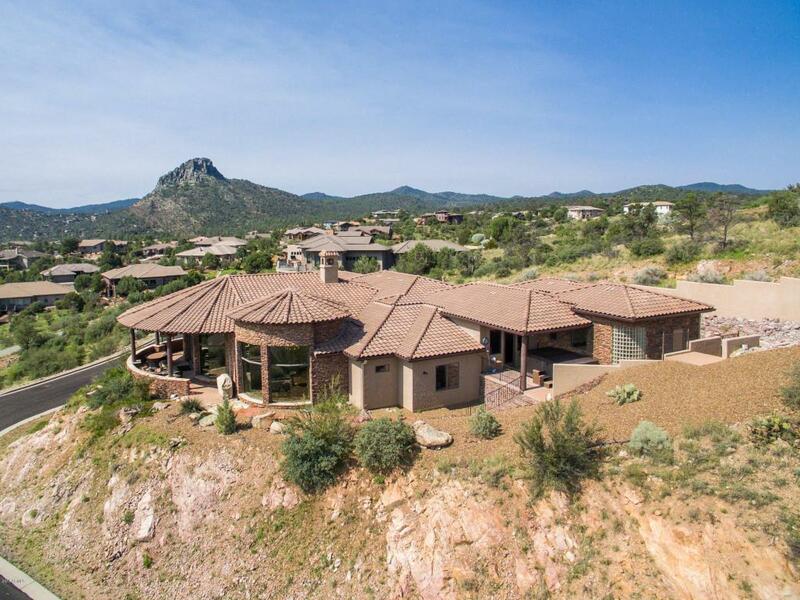 This amazing home features 3 bedrooms (all suites) plus theater/exercise/office room, 10-12 foot ceilings and cathedral ceilings with wood beams and tongue in groove accents. 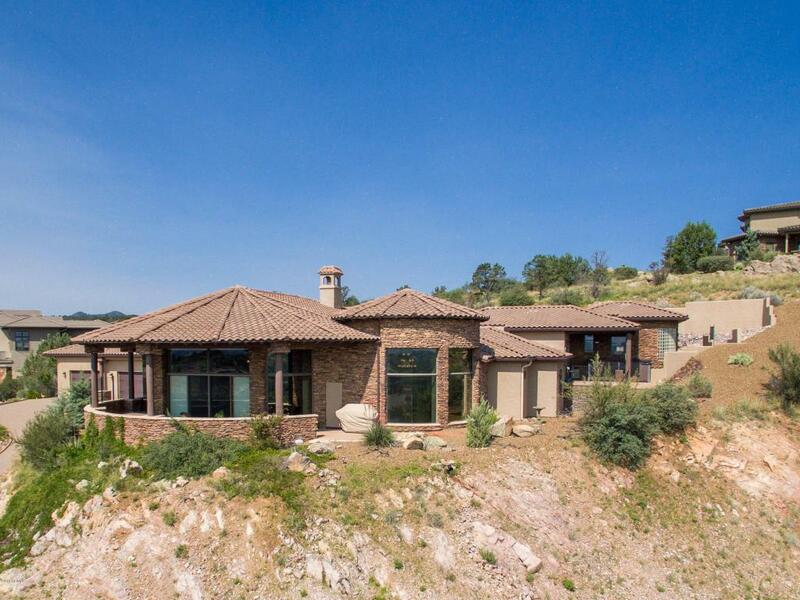 Outdoor covered front patio captures the long distance views. Expansive living area with floor to ceiling 2-way stone fireplace between kitchen and living area. Gourmet kitchen featuring 2 islands (black walnut & granite), stainless high end appliances, wine refrigerator and large walk in pantry. Oversized 4-5 car garage with exotic high gloss epoxy flooring and workshop.